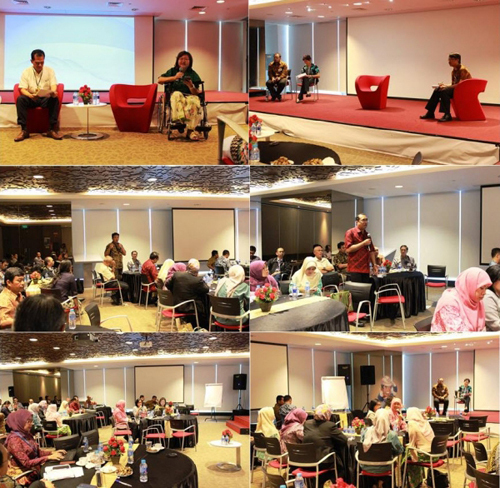 The plenary session consisted of comprehensive question and answer session covering many of the key issues and solutions to re-attract investment to Indonesia during the global capital efficiency drive. H.E. Ignatius Jonan, Minister of ESDM, emphasized the long-term nature of the industry and recognized that industry requires a return on investment in this challenging environment. He has instructed SKK Migas to speed up business processes but noted that it is also important for the industry to be competitive, adding that if domestic production costs are higher than international prices, then Indonesia will continue to import. “It is an honor to be here at the 41st Indonesian Petroleum Association Convention and Exhibition, and to be addressing all of you today. Thank you for joining us over the next three days. The Indonesian Petroleum Association (IPA) will hold the 41st IPA Convention and Exhibition on May 17-19, 2017 at the Jakarta Convention Center. In the last three months period, PT Apexindo Pratama Duta Tbk (Apexindo), one of the IPA Associate Members, has received three recognition awards for their performance in drilling rig operations which have been conducted in several working areas in Indonesia, namely: the BTE-1 well and Kepodang project of KEJT-C3 and KEJT-C4 offshore wells of Petronas Indonesia, Apexindo Rig 2 on the RGT drilling project onshore at Central Java for Pertamina Hulu Energi Randugunting and the Apexindo Rig 4 for drilling of geothermal wells in North Sulawesi for Pertamina Geothermal Energy. [JAKARTA] In order to clarify the roles of the IPA and government partners to promote the upstream oil and gas industry in Indonesia, the Indonesian Petroleum Association (IPA) visited the CNN editorial Indonesia, in Jakarta, Thursday (26/1). The visit, which was led by the IPA Executive Director, Marjolijn Wajong, aimed to encourage a better understanding of the cost recovery mechanism in the upstream oil and gas activities in Indonesia. [JAKARTA] The Government of Indonesia through the Ministry of Energy and Mineral Resources (EMR) has formally issued the new regulations regarding the Gross Split Scheme. This new regulation set out in the Minister of Energy and Mineral Resources Regulation No. 8 Year 2017 concerning the Gross Split Production Sharing Contract is going to be firstly applied to the Offshore North West Java (ONWJ) working area which is managed by PT Pertamina Hulu Energi. [JAKARTA] The business of oil and gas in Indonesia is currently quite challenging and the number of rules and regulations related to the oil and gas industry that overlap both between sectors and between the central government and local government are believed to be one of the key challenges for the oil and gas industry in Indonesia. This has resulted in the industry being not only rated as being “mismanaged” but is also seen to be as a result of over management. [JAKARTA] Puluhan blogger yang tergabung dalam Kompasiana menghadiri acara Nangkring bertajuk “Ada Apa dengan Investasi Hulu Migas?”, bersama Satuan Kerja Khusus Pelaksana Kegiatan Usaha Hulu Minyak dan Gas (SKK Migas), di Jakarta, Jumat 26 Agustus 2016. 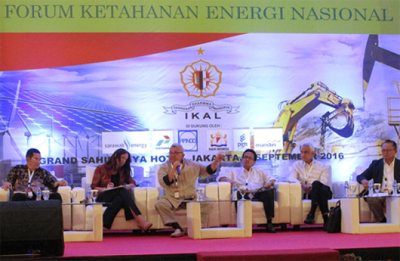 Hadir sebagai narasumber pada acara tersebut di antaranya Kepala Bagian Hubungan Masyarakat SKK Migas, Taslim Z. Yunus, dan Executive Director Indonesian Petroleum Association (IPA), Marjolijn Wajong. This event is to facilitate networking of Environment & Safety professionals in our industry especially among IPA members companies and to socialize the role of IPA Environment & Safety Committee in supporting the Oil and Gas business in Indonesia.